When a loved one dies, or you witness the death or serious injury of a fellow worker, the anxiety, stress, and grief you experience can be very intense. But in the eyes of the law, it’s not enough to justify a claim of mental harm or psychiatric injury. In order to make such a claim for compensation under common law, you must have suffered a recognisable psychiatric condition, preferably one diagnosed by a psychiatrist. What is ‘mental harm’ or psychiatric injury? Typical claims for mental harm in the workplace often involve bullying, harassment, and workplace stress. They may also arise from witnessing a workplace accident or death. Outside of the workplace, claims usually arise after witnessing or being involved in an accident of some kind. Whether there was a pre-existing relationship between the claimant and the defendant. Claims for mental harm can be made by those injured in an accident, those who witnessed the accident, a parent, spouse, or child of the victim, even a complete stranger who witnessed the accident – providing in all cases that it can be proven they suffered a psychiatric illness as a result of the accident. Causation – That the defendant’s breach caused the plaintiff’s psychiatric injury. While physical injuries are often more straightforward when it comes to establishing negligence, claims involving mental harm are more complex and difficult to prove. One reason for this is the plaintiffs themselves. They often do not fully understand the cause of their illness, and because it is something intangible, it can be difficult to link causally to the accident. In the case of a workplace claim, the plaintiff may have been reluctant to tell others – particularly their employer – about their problem due to the stigma surrounding mental health and fear of losing their job. This makes it hard to establish negligence on the employer’s part if they were unaware of the plaintiff’s mental state. They could not be expected to take reasonable steps to prevent mental harm from occurring if they were unaware of its existence. Even if the plaintiff had divulged the extent of their problem, either by confiding in their employer or through their general behaviour at work, the onus would still be on them to prove that the defendant breached their duty of care. To do this they would need to establish that not only was the risk foreseeable, but that a reasonable person in the defendant’s position would have taken precautionary steps to prevent it from occurring. 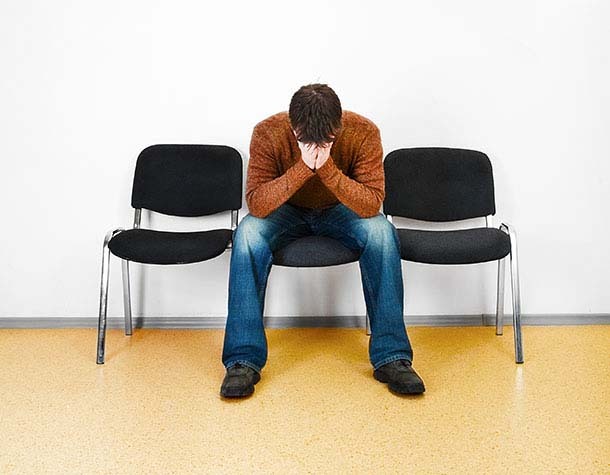 Furthermore, claims of mental harm rarely succeed in relation to what is considered ‘reasonable management action’ taken by an employer against the plaintiff in connection with their employment. This includes transferring, demoting, disciplining, retrenching, or dismissing the plaintiff. In such cases, the onus is always on the plaintiff to prove that this exemption does not apply and that the employer’s actions were unreasonable. Compensation claims for mental harm are fraught with hurdles and legal grey areas, and are never quite as straightforward as physical injury claims. More than with any other type of personal injury claim, the success of a mental harm claim rests squarely on the plaintiff’s ability to be able to establish a duty of care, a breach of that duty of care, and that the breach caused their psychiatric injury. Common law claims for mental harm often fail to establish that breach of duty of care and for this reason, you should always seek expert legal advice before going down this path.